Our spring break starts tomorrow! I’m excited to be able to turn off the alarm clock for a week. Easter is quickly approaching and I still need to get the house ready and decorated! 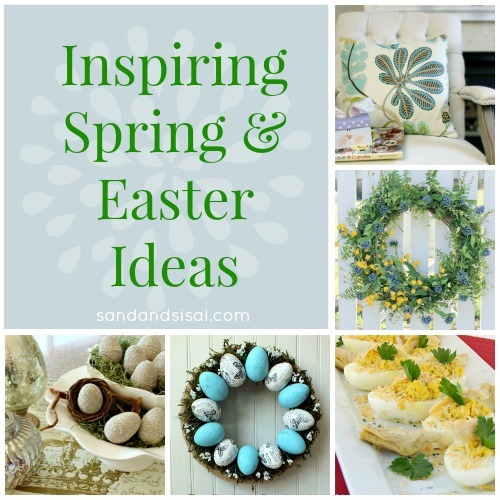 This week’s Inspire Me Monday was full of Inspiring Spring & Easter Ideas and for this Feature Friday I’ll share a few of my favorites that caught my eye. (Use your keyboard arrows or the arrow buttons above to click though the slide show). Love all the ideas! Have a great weekend!